Choosing a Senior Living Community – Senior Living Advisors Ltd.
Don’t be shy when paying a visit to the facility. You will be taken on a guided tour of the home so be sure to bring the following checklist and ask a lot of questions. Comfort: Is the facility clean, well lit, a comfortable temperature, and odor free? Medications: Does the facility provide medication management? If yes, is there an additional fee for this service? Safety: Is it a safe environment, with fire extinguishers, open pathways, and smoke detectors? How many residents in each room? Are call buttons within reach? Is the room size sufficient? Bathrooms: Are the bathrooms clean and equipped with handrails and a call button that is easily reached? Dining: Observe mealtime. Are the meals for the month posted? If not, request a copy. Does the food look and smell appetizing? 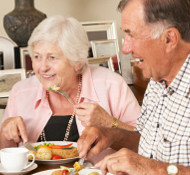 Does the staff take time feeding residents and not rushing them through? Is the kitchen clean? Social Activities: Is an activity calendar posted? Request a copy. 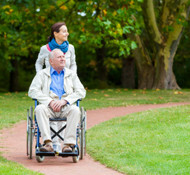 Are there a variety of activities to meet the needs of your loved one? Staff: Is there enough staff to meet the needs of the residents? Is staff visible and willing to talk to you? Does the staff get the residents up and dressed each day? Are there a lot of call lights on? Quality of Life: Does staff knock before entering a room? Does the staff close doors and curtains when appropriate? Are residents socializing inside and outside the facility? Are residents clean, dressed, and well groomed? Are visiting hours limited? Finding a new living arrangement for your loved one is a difficult and confusing experience. Senior Living Advisors is here to make this transition smooth for you and your loved one. We will do thorough research to find the facility that best suits your or your loved one’s needs. We will accompany you on tours; however, we encourage you to use this little checklist to assist you in making the best final decision. © 2016 Senior Living Advisors Ltd.